(CN) – Washington state governor Jay Inslee signed a number of bills Monday aimed at improving voter access, including automatic voter registration and allowing teenagers to pre-register to vote. Another bill aims to improve equal representation in local governments, while another requires public disclosure of certain political donations. Dubbed the “Access to Democracy” package, Inslee signed the bills at a ceremony held at Foster High School in Tukwila. Washington state has the “best, most accessible, freshest voter laws in the United States,” Inslee said, to big applause. “This is no idle boast, it is true,” Inslee said. Three of the bills seek to increase voter participation. In 2016, more than a million people in the state were eligible to register but did not. One bill allows people to register in the days leading up to and even on Election Day itself. Another creates automatic voter registration for people who obtain driver’s licenses or ID cards, and a third allows 16- and 17-year-olds to pre-register to vote. 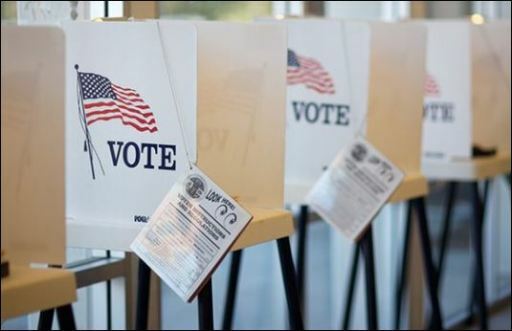 A bill called the Washington Voting Rights Act addresses the issue of equal representation, and will allow communities to hold district-based elections or other voting systems. After a federal court ruled in 2014 that Yakima’s at-large elections disenfranchised the city’s Latino voters, the city moved for a district-based election the following year. The city, which has a 40 percent Latino population, had never had a Latino hold office. But after the district-based election, three Latinas were elected to the City Council. “It will empower disenfranchised communities, and people of color, to elect leaders that reflect their values and the rich diversity of our state,” Saldaña said. Finally, the DISCLOSE Act will require nonprofits that donate more than $10,000 a year to political campaigns to both publicly report their donations and register with the state’s Public Disclosure Commission. “The chorus of democracy makes the sweetest music when it swells with the most voices,” Inslee said at the ceremony.